Magna Glide | Pro Chem, Inc.
MAGNA GLIDE is a premium, heavy-duty, extreme pressure, multipurpose grease manufactured with high performance base stocks, high quality lithium complex thickener and nGlide® leading edge nano-engineered multicomponent lubricant additives. nGlide® is a specially architected multicomponent chemistry at submicon scale formulated into the E2M additive packages for engine oil, gear lubes and greases. Oxidation inhibitors provide excellent high temperature performance along with polymers to provide exceptional water washout resistance. This product helps to reduce maintenance expense through less wear on components, extended equipment life and less frequent greasing intervals. This product is NLGI certified CG-LB in wheel bearing and chassis applications. 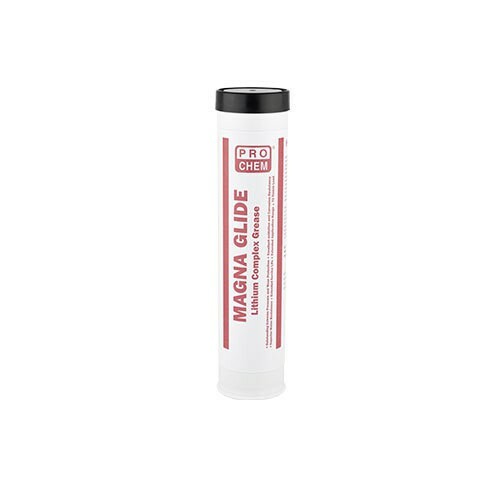 MAGNA GLIDE is an ideal chassis lubricant where water washing and shock loading protection is needed. This product is designed to handle operating temperature of -40°F to +500°F. 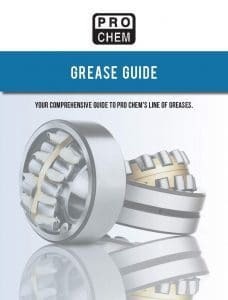 For best performance, fully purge the competitor grease out before applying appropriate amount of MAGNA GLIDE grease. Reapply as needed.